The Italy international has struggled for game time with the Saints. The Italy forward is set to return to his homeland. Is Juventus the next move for Aaron Ramsey? Manchester United are held to a 2-2 draw by strugglers Southampton at St Mary's Stadium in a Premier League match that saw all four goals scored in the first half. Leicester City beat Southampton on penalties following a goalless draw in normal time to set up a home quarter-final tie against holders Manchester City. Relive Sports Mole's live text coverage of Leicester's penalty-shootout win over Southampton, as the Foxes booked their place in the EFL Cup last eight. Fiorentina are reportedly considering making an offer for Southampton forward Manolo Gabbiadini during the January transfer window. Sports Mole looks ahead to Saturday's Premier League clash between unbeaten Liverpool and Southampton at Anfield, including team news, predicted XIs and a full preview. Sports Mole looks at how Southampton could line up for their daunting Premier League trip to face joint-league leaders Liverpool at Anfield. Southampton boss Mark Hughes insists that no more players will be allowed to leave the club before the transfer window closes on Friday. 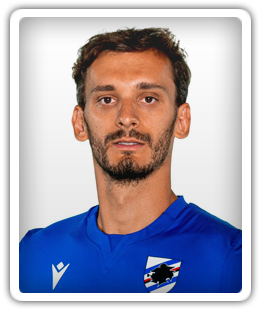 Italy striker Manolo Gabbiadini wants to stay at Southampton and fight for a first-team place, confirms agent Silvio Pagliari. Southampton striker Manolo Gabbiadini keen to return to Italy? Southampton forward Manolo Gabbiadini is reportedly keen to return to Italy during the summer transfer window. Mark Hughes claims that Southampton's cancelled hotel booking ahead of their 1-0 win at Swansea City on Tuesday night was used as a "motivating factor". West Bromwich Albion are relegated from the Premier League due to Southampton's win at Swansea City. Reiss Nelson comes in for his first Premier League start as Arsenal make seven changes for the visit of Southampton. Charlie Austin is in Southampton's starting XI for their Premier League trip to West Ham United. Lazio are reportedly considering a move for out-of-favour Southampton forward Manolo Gabbiadini this summer. Southampton beat Wigan Athletic 2-0 at the DW Stadium in order to earn progression into the semi-finals of the FA Cup. Wigan Athletic boss Paul Joyce brings Gary Roberts into his starting lineup to face Southampton, while the Saints show two changes from their last outing. Neither Southampton nor Stoke City can find a way through as the relegation-threatened sides play out a goalless draw at St Mary's Stadium. Guido Carrillo is again chosen to lead the Southampton line in Saturday's home Premier League game against Stoke City. Burnley boss Sean Dyche admits that his side's 1-1 draw with Southampton "is hard to take" due to the nature of Manolo Gabbiadini's late leveller. Southampton boss Mauricio Pellegrino likens his side's late draw at Burnley to a victory. A late Manolo Gabbiadini goal helps Southampton to a 1-1 draw with Burnley in Saturday's Premier League clash at Turf Moor. Tottenham Hotspur miss the chance to move into the Champions League places as they are held to a 1-1 draw by out-of-form Southampton at St Mary's. Hugo Lloris is not in Tottenham Hotspur's matchday squad as Mauricio Pochettino's charges take on Southampton in Sunday's Premier League clash at St Mary's Stadium. Bologna show interest in Southampton forward Manolo Gabbiadini? Bologna are reportedly interested in signing Southampton forward Manolo Gabbiadini either in January or during the summer.